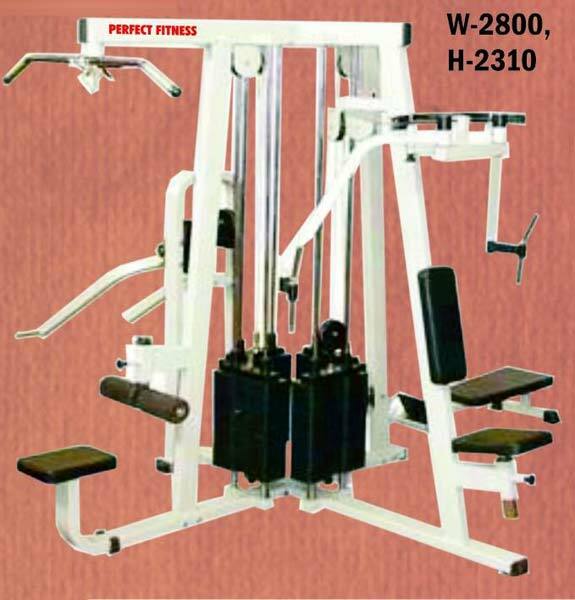 We are reliable Manufacturer, Exporter and Supplier of Four Station Multi Purpose Gym from India. Our Four Station Multi Purpose Gym is made using quality-tested raw materials along with cutting-edge technology at our manufacturing unit. Four Station Multi Purpose Gym fabricated by us have long functional life along with reliable functioning. We can make available this Four Station Multi Purpose Gym in different specifications depending upon buyer’s requirements.